. استمتع بالخدمات الراقية والضيافة التي لا مثيل لها بهذا الفندق في نابير. يقدم الفندق فرصة للاستمتاع بشريحة واسعة من الخدمات بما فيها: واي فاي مجاني في جميع الغرف, مرافق مخصصة لذوي الاحتياجات الخاصة, تخزين الأمتعة, واي فاي في المناطق العامة, صف السيارات . تنعكس أجواء Albatross Motel في غرف الضيوف.تلفزيون بشاشة مسطحة, اتصال لاسلكي بشبكة الإنترنت (مجاني), غرف لغير المدخنين, تدفئة, شرفة/ تراس هي بعض الميزات الموجود في العديد من الغرف. يقدم الفندق مجموعة واسعة من وسائل الراحة المتنوعة، كمثل: حمام سباحة خارجي, سبا. يشكل Albatross Motel بخدماته الراقية وموقعه الممتاز، قاعدة مثالية للاستمتاع بإقامتك في نابير. The unit we stayed in had one bedroom and was able to accommodate 4 people. Although not so roomy, in overall the facility seemed like it had gone a renovation, so it was very clean and neat. Good parking and driveway was a bonus. Hob may be bit small, and lacked in range of utensils which could be improved. Friendly staffs. I wouldn't mind staying here again, nice place. We were pleased with our room and would stay here again. Room much smaller than expected, small toilet room. Towels were old and worn which made them look grubby. Nothing to comment on and find that was any good. Other than the chilly weather our stay was very enjoyable and would stay again. 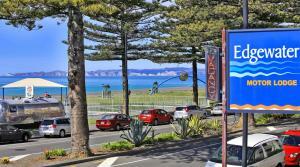 Napier is a great place to visit and the Albatross was an affordable, comfortable place to stay while there. Nice sunset view from the balcony. We weren't bothered by street noise, although there's a sign offering earplugs if needed. The lady who left her dog outside barking (and then yelled at it) at the house behind the Motel wasn't great, but that was only during the day. I wish NZ hotels weren't so stingy with wifi--we could only get 100MB of access for one device at a time (although the Albatross staff gave us more for free when we ran out). Friendly and fast check in and check out. Tidy room. clean, cheap and good bed. Second time we stayed at the motel in the past two years ago, the noise from the highway was worse this time, very annoying. Lots of trucks parked outside the motel across overnight. We will not stay at this motel again. it was great, i will definately recommend others to stay there. 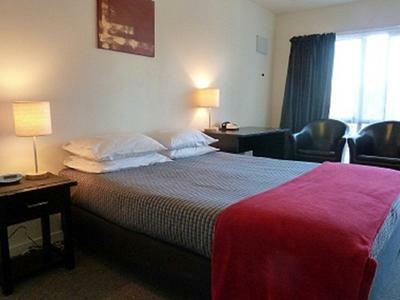 we entered the ironmaori so this motel is ideally situated and has a pool to cool down in and also a spa to soak that aching body.. the staff are really friendly. 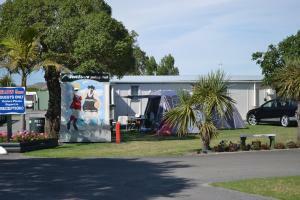 We enjoyed our brief stay at the Albatross Motel the owners were friendly & room was goo d.